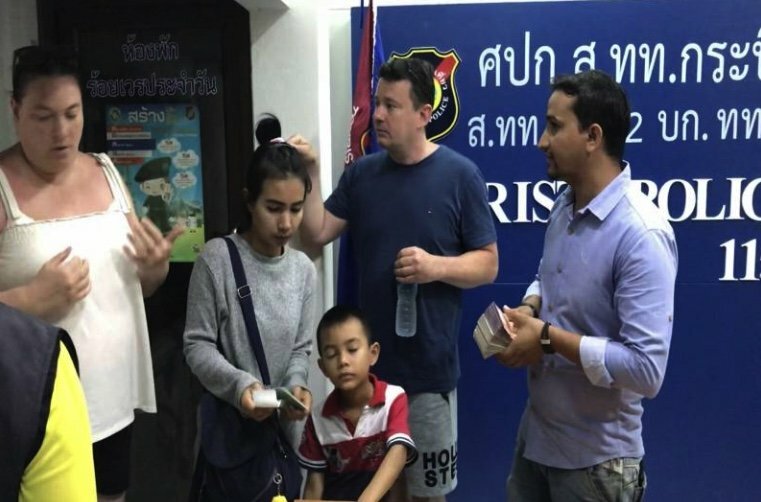 A group of British tourists said they would definitely be coming back to Krabi again after 255,000 baht was repaid to them following a mix-up at an Indian restaurant. Mr Simon, 48, and ten friends from the UK went to the Punjab Palace for dinner on Tuesday. The restaurant is situated on Nopparat Thara beach. After their curries Simon paid the 2,857 baht bill on his credit card and pressed OK. In reality he had pressed 257,857.12 by mistake and thus overpaid the restaurant by 255,000 and a few satang. The party of tourists left and the manageress Aporn, 32, only noticed the error when she was doing the takings at closing time. Her Indian husband was alerted and he took off on his Vespa to try and find the tourists but to no avail. So Aporn went to the police. The tourist police and Krabi immigration managed to track down the party to a hotel in nearby Ao Nang but the tourists had gone out for the day. They were clearly unaware that they were in the "vindaloo". A message was left and soon Mr Simon and several friends turned up to receive back the overpaid portion of the bill. A ceremony was held with police to celebrate the honesty of all concerned. Sanook reported that the tourists were all overjoyed and thoroughly impressed with the Thais and the Indian owner and would definitely be coming back to Krabi again. Sanook used the term "Amazing Thailand" in their headline. Thaivisa would like to point out that we translated this story with no intent to curry favor with anyone. Sometimes we forget the majority of people catering to tourists are honest people. Good to have articles like this to remind us “negative thinking” farangs. 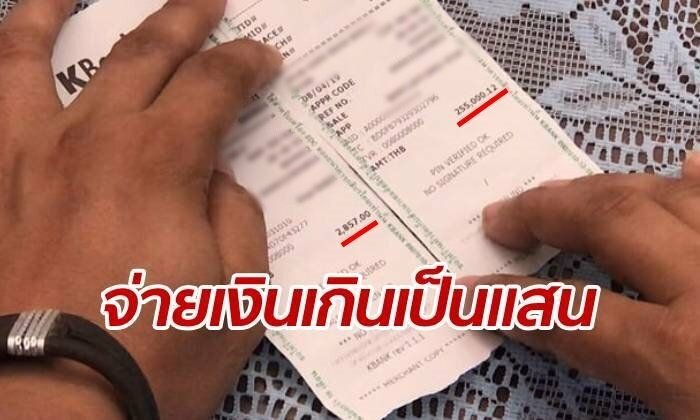 Its just a simple case of credit card error .Obviously the restaurant isn't going to process a bill for quarter of a million baht. No big deal. Contact the card holder and adjust the bill. Why do the Thai cops have to turn it into a three ring circus? 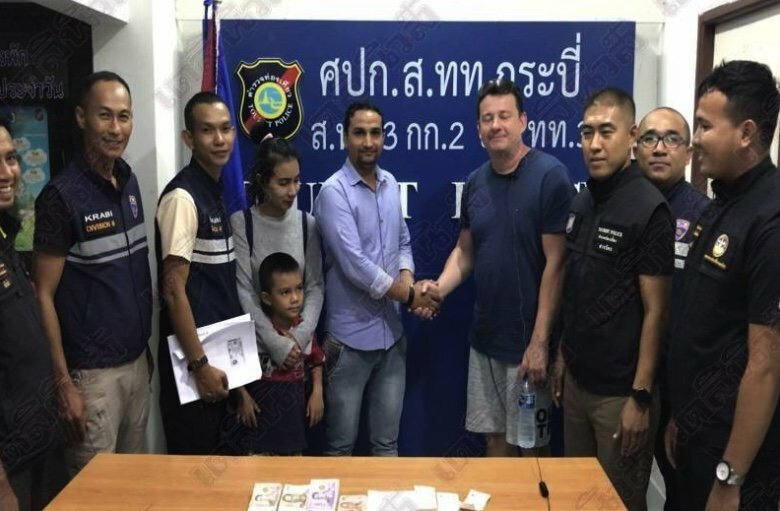 All that's missing in the photo op is a good Samaritan taxi driver who found 200,000 b in the cab left by the Indian who was out looking for the farang. Lots of people complain on these expat sites because it makes them feel that they matter still. Many have failed miserably in relationships or finances in their own country and somehow they feel that gives them the right to put down everything that doesn't fit with their ideal of how it should be here. Quite pathetic actually. After their curries Simon paid the 2,857 baht bill on his credit card and pressed OK. In reality he had pressed 257,857.12 by mistake﻿ and thus overpaid the restaurant by 255,000 and a few satang. He must have a very good credit limit for that amount to be approved? Or more than likely, am I completely out of touch with the UK cost of living? The fact that this story is published in such a pompous way only demonstrates what usually happens when your money "disappears" there. Evaluating the behaviour of others is really being judgmental unless, of course, you are trying to help them improve their lifestyle. Nothing like my story.i once landed back in the uk and the very next day while going through my mail/bills I found someone had used my card details and withdrew £2499.99.i was straight on the phone to the company and they said my details were used in a fraud.i was told not to worry and was reimbursed within a couple of days.i was actually on my long haul flight to London when the transaction took place. Maybe this is all valid for you. But I presume you are a member of the "away with me" crowd. Not wishing to put a damper on this great story ...but, when the mistake would have been discovered further down the food chain the money would have had to be returned anyway. But he paid the equivalent to over 6000 British Pounds - and didn't blink? Didn't notice? Didn't question? The owner did a lot of effort to track the family. That's a professional who knows how to run a business. Here the "OOPS" turns into a positive promotion for his restaurant, two thumbs up..
How were they able to withdraw that amount?